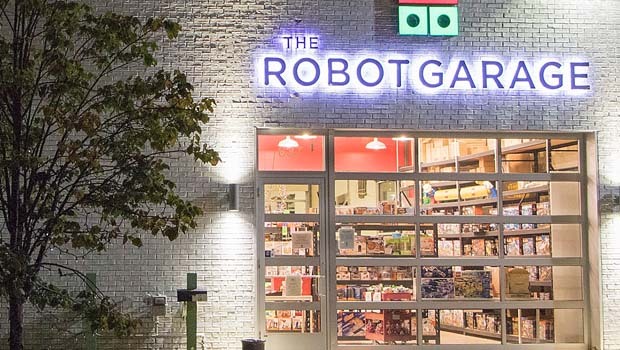 Robot Garage Summer Camps 2019 – Robot Garage summer day camps offer Metro Detroit kids weekly themed summer camps and drop-in play opportunities at their Birmingham and Rochester Hills MI locations all summer long! Perfect for kids interested in in LEGO® building, engineering, and robotics, summer camps at The Robot Garage offer an exciting theme every week through the whole summer! The Robot Garage even offers a discount for multiple sign-ups. Their summer camps are designed for kids entering 1st grade through 8th grade. The Robot Garage camps are offered from 9a-3p weekly throughout the summer at Birmingham and Rochester Hills MI locations. Before-care and after-care is available from 8a-6p for $12 an hour. Students are asked to bring lunch, 2 snacks, and a water bottle. 1-Week camps $399. Members receive 10% discount. 7/8-7/12 – Super Heroes in the D.C.
8/19-8/23 – Super Heroes in the D.C.
​8/5-8/9 – Super Heroes in the D.C.
Drop-in with your kids this summer for unstructured LEGO building and interactive robotics activities from 11a-6p weekdays, 10:30a-6p on Saturdays, and noon-5p on Sundays.. No reservations needed. LEGO, LaQ, and Plus-Plus builds available for sale by the pound. Entry is for up to 2 hours and $8 per builder. Ask about The Robot Garage’s Annual Membership for year-round drop-ins. Kids must be accompanied by an adult. No admission charge for adults bringing kids. All ages welcome. For more info on Robot Garage Summer Camps, visit www.therobotgarage.com.